5* x 10 new lovely creations. Happy sunday, Susan !!!! Hi Susan! 7 x 5***** for your newest superb pots! Rated 5 new wonderful creations with 5 stars, Susan. Magnificent gallery Susan! 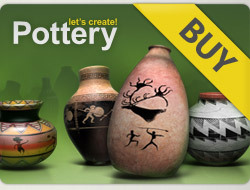 12 x 5**** for your newest beautiful pots! I will visit again! Welcome back, Susan ♥ 5* x 15 beautiful creations. Happy day !!!! I rated all 24 incredible pots from first and second page with 5 stars! Thank you and Happy New Year Susan!